The hydrogen breath test for fructose malabsorption / fructose intolerance is a non-invasive, low risk, accurate and fast tool to identify this uncomfortable condition. Does the estimate of 1 in 100 people having Celiac disease startle you? Well, what about the estimated 1 in 3 for fructose malabsorption! Yes, 1 in 3! Why is it important to test for Fructose Malabsorption? The U.S. Department of Agriculture has found that the ingestion of fructose has increased nearly nine-fold from 1966 to 2003. This increase has been attributed to the practice of adding fructose corn syrup to many drinks, candies and canned foods. 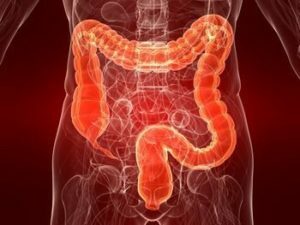 In IBS patients, there is evidence to suggest that more rapid small intestinal transit could deliver unabsorbed nutrients to the colon and hence lead to an increased gas production, causing pain and diarrhea. This may explain the reduced capacity to absorb free fructose in IBS patients. The fructose malabsorption / fructose intolerance breath test is a quick way to discover if a patient has fructose malabsorption. What Exactly Happens with Fructose Intolerance or Fructose Malabsorption? Fructose (a sugar commonly found in fruit and vegetables) should normally be absorbed in the small intestine before moving onto the liver and other parts of the body. If it is not (because the epithelial cells on the surface of the intestine are not available to assist the digestive process) then the unabsorbed fructose moves on to the large intestine where bacteria has a field day partying on it, leaving a very irritable abdomen in its wake! This is fructose mal-absorption. If the fructose that was absorbed by the small intestine moves on to the liver and then fails to be further absorbed by the liver (because the enzyme for breaking down the fructose is not produced) then things start to get pretty serious. The body will, in attempting to use the sugar, produce toxic substances which lead to serious illness, even death. This is Hereditary Fructose Intolerance (HFI). If you’ve managed to get to adulthood without pinpointing that fructose is doing you in then the chances are you don’t have HFI, because if you did you would have been ill from the time you were weaned. On the other hand, fructose mal-absorption seems to be self-imposed by our modern diets! Our bodies have simply not evolved enough to be able to handle the high levels of sugar in our current food culture. Fructose malabsorption is common in children with recurrent or functional abdominal pain (RAP) but the condition can be effectively managed with a low-fructose diet. According to the results of a new study unveiled at the American College of Gastroenterology’s (ACG) 75th Annual Scientific meeting in San Antonio, Texas in October 2010. Breath hydrogen test (BHT) for fructose was performed in all patients in the study and it was positive for fructose malabsorption in 132 of 245 patients (53.9 percent). A total of 113 of 245 (46.1 percent) of patients had a negative BHT for fructose intolerance. All of the 132 patients with a positive Fructose Breath Hydrogen Test underwent a low-fructose diet. Using a standard pain scale for children, 88 of the 132 patients (67.7 percent) reported resolution of symptoms on a low-fructose diet.